Tobit bought me Handmade Style last year for my birthday and he’s now made the basis of the patchwork bench reworking the measurements to suit. I’m making a scrappy top for the bench. The longest piece in the photo is approx 18″ so you have an idea of scale. 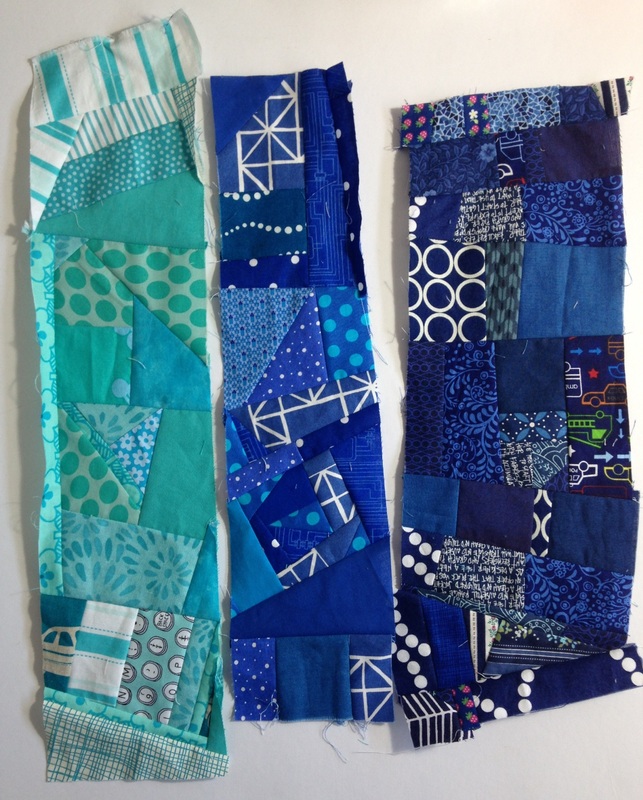 All the fabric has come from my blue scrap box, there will be other colours added and depending on how much there is of each will depend on how well it is represented! We had a bit of a sort of the scraps into tones and then I literally have just been sewing them together as I picked them up, trimming a little here and there. 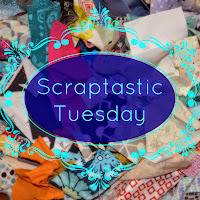 Hopefully by next months Scraptastic Tuesday I’ll have more to show (but probably not a finish!). good start – these look interesting ! I love this! It’s going to be beautiful. These look lovely! I flicked through Handmade Style last Saturday morning and now have it on my to but list. Such lovely projects. Looking forward to seeing this progress. Your scrappy sewing is looking good! I’m wondering what they will be?